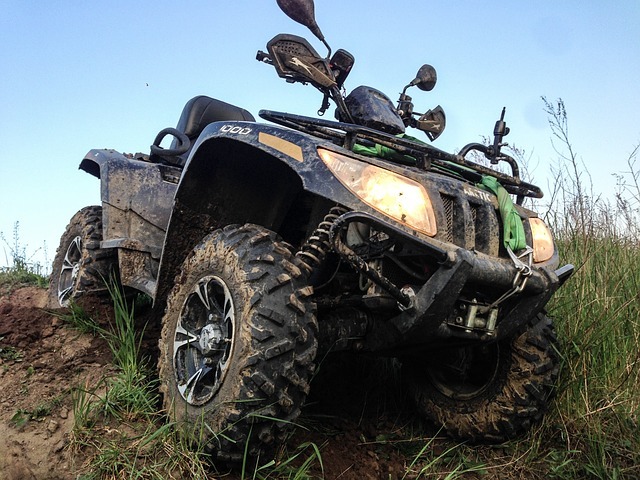 It doesn't matter whether you have just bought a shiny new ATV or you've had yours for a while, it's never a bad time to brush up on basic engine and ride maintenance. NC Synthetic has put together some easy to follow ways for you to keep your ride in good shape. It can seem like common sense to read the manual for any new vehicle, however many riders don't always understand the information included within it. Take the time to learn about any specific maintenance it requires along with information about riding and using it safely. Your manual will also give you information about any engine break in requirements. Now, put down the manual and really get to know your ride. Get up close and take a good look at its engine, fixtures and safety devices. Take a look at how tight the nuts and bolts are, along with any handles or pedals. Get familiar with how each part of your ride comes together to work and keep you going. If you're out on a track and run into a common engine problem, make sure you know how to fix it and get it going again. Make a note of the condition of your oil and air filters. If your ride is new, use this as a gauge against how it will start to look in the future. This should give you a good indication into its ongoing condition. If you're looking at your filters and you can't remember the last time you changed them - now the the perfect time. Along with these basics, switching to using Amsoil Oil in <city> can be a great way to give your ride a boost and help to keep it clean while you're out. Speak with an oil expert at NC Synthetic on (919) 624-2934 and ask about the right synthetic oil for your ride.